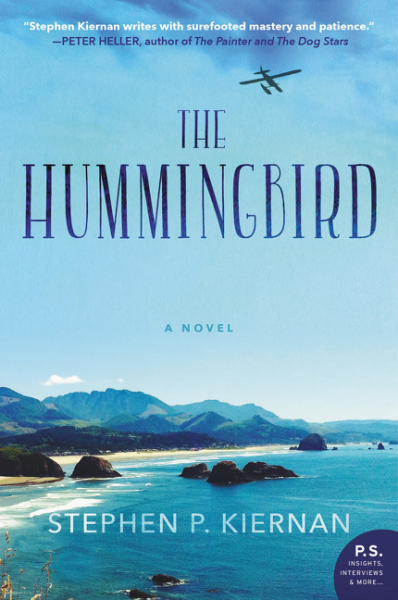 Deborah Birch is a seasoned hospice nurse who never gives up—not with her patients, not in her life. But her skills and experience are fully tested by the condition her husband, Michael, is in when he returns from his third deployment to Iraq. Tormented by nightmares, anxiety, and rage, Michael has become cold and withdrawn. Still grateful that he is home at last, Deborah is determined to heal him and restore their loving, passionate marriage. But Michael is not her only challenge. Deborah’s primary patient is Barclay Reed, a retired history professor and fierce curmudgeon. 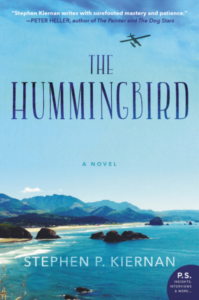 An expert on the Pacific Theater of World War II, Barclay is suffering from terminal kidney cancer and haunted by ghosts from his past, including the academic scandal that ended his career. Barclay’s last wish is for Deborah to read to him from his final and unfinished book—a little-known story from World War II that may hold the key to helping Michael conquer his demons. Together, nurse, patient, and soldier embark on an unforgettable emotional journey that transforms them all, offering astonishing insights into life and death, suffering, and finding peace. Buy, read, and discuss this book. 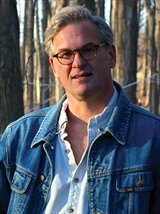 Stephen P. Kiernan is a graduate of Middlebury College, Johns Hopkins University, and the University of Iowa Writers’ Workshop. During his more than twenty years as a journalist, he has won numerous awards, including the Brechner Center’s Freedom of Information Award, the Scripps Howard Award for Distinguished Service to the First Amendment, and the George Polk Award. He is the author of The Curiosity, his first novel, and two nonfiction books. He lives in Vermont with his two sons. 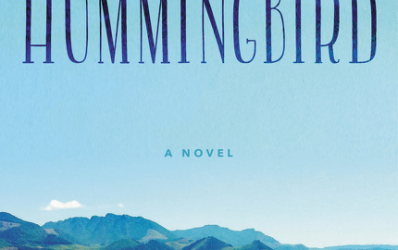 The Hummingbird is a stunning novel. It’s hopeful. It’s uplifting. It’s supremely real. And it is all those things while still, ultimately, spending a lot of time talking about hospice care and post-traumatic stress in candid terms, through the eyes of a home health nurse (Deborah) her prickly patient Professor Barclay, who wrote many books about Japan and America in World War II, and her husband Michael, recently returned from Iraq. It’s a triangle (though not a love triangle) that becomes a sort of remote triumvirate, as Deborah breaks down Barclay’s walls and learns his story, and then, in turn, takes what she learns from her patient and applies it to her husband. I really loved all three characters – Michael is tortured, but you can tell he doesn’t want to be, and that he still loves his wife. Barclay is irascible, but there is a lonely heart beneath his curmudgeonly ways. Deborah is not a saint, but a real woman, one who can be quite earthy when the situation calls for it. The supporting characters also – the night nurses who spell Deborah, for example, are all well drawn, too, but it’s the main three characters that really grab you, look you in the eyes and demand that you hear their stories. One convention that author Stephen P. Kiernan used, and that I thought worked incredibly well, was interspersing “Barclay’s” last book between the chapters. Not only was that text a fascinating read on its own (and based on a real story) but it was also a fantastic and compelling way to make the professor seem more dimensional, especially since he’s already greatly diminished when we meet him. 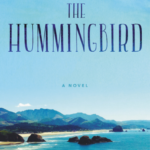 The Hummingbird is a meaty novel, with rich prose and characters whose flaws only make them more fascinating and more interesting to travel with on their different, parallel journeys. Goes well with a steak and white cheddar panini and French onion soup. One lucky reader from the United States or Canada will win my copy (trade paperback) of this book. Three ways to enter (one entry per person for each choice, so if you do all three, you’re entered three times). Find my tweet about this book and retweet it (I’m @Melysse). Find my Facebook post about this book and like/share it (I’m MissMelysse). Leave a comment here on this post telling how you’d like to spend your last few months on Earth. Contest is open until 11:59 PM CDT on Thursday, July 14th.